The donation reset will be Monday, June 22nd! This round ends Monday, 29th! The donation reset will be Monday, May 25th! This round ends Monday, June 1st! Welcome back to another week of Information Exchange! 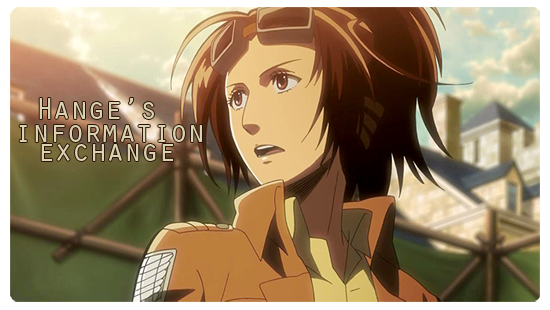 New host Hange and I are looking for some new Information, so will you help us out? The donation reset will be Monday, May 11th! This round ends Monday, May 18th!